Dr Clayton is a member of The British Society for Cutaneous Allergy and received specialist training in cutaneous allergy at the Leeds Centre for Dermatology. He works very closely with consultant immunologists in his NHS work at the Children’s Hospital. An allergy is a reaction that the body has to a particular food or substance in the environment. The majority of substances that cause allergies are not harmful and will have no effect on people who are not allergic. An allergy develops when the body’s immune system reacts to an allergen as though it is a threat, like an infection. It produces antibodies to fight off the allergen, in a reaction called the “immune response”. Symptoms of an allergy can include sneezing, wheezing, itchy eyes, skin rashes and swelling. The nature of the symptoms depend on the allergen. For example, you may experience problems with your airways if you breathe in pollen. Children with atopic eczema may suffer from food allergy. This will usually be fairly easy to identify from the history of reacting to certain foods. An immediate reaction to a certain foodstuff can be tested for via skin prick testing or blood tests. Dr Clayton performs skin prick testing to common allergens and specific IgE testing for immediate reactions to food and air bourne allergens. For more information please make and enquiry. Dr Clayton also undertakes patch testing for contact eczema/dermatitis. Dr Clayton has particular knowledge of patch testing in children aswell as adults and published a key manuscript in this field whilst training at Leeds University. Please click here to read this pdf. 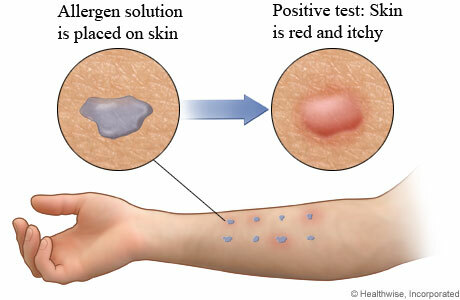 Patch testing is a method used to determine if a specific substance causes allergic inflammation of the skin. Any individual with eczema suspected of having allergic contact dermatitis and/or atopic dermatitis needs patch testing. 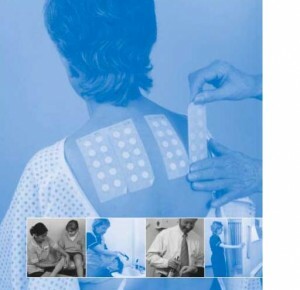 Patch Testing helps identify which substances may be causing a reaction in a patient. It is intended to produce a local allergic reaction on a small area of your back where the diluted chemicals were planted. The chemicals included in the patchtest kit are the offenders in approximately 85-90 percent of contact allergic eczema and include chemicals present in metals (e.g. nickel), rubber, leather, hair dyes, formaldehyde, lanolin, fragrance, preservative and other additives. Dr Clayton undertakes patch testing using a panel of commonly encountered allergens using the True test allergens.